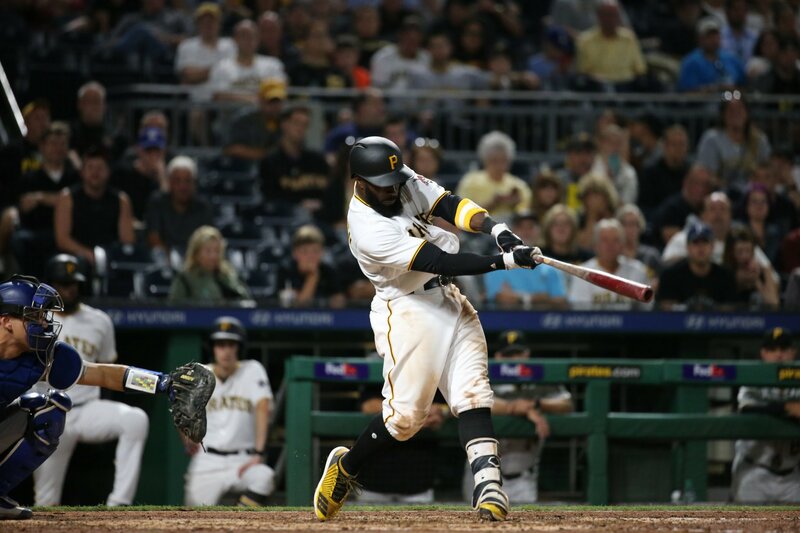 Just four pitches into the 10th frame, Josh Harrison had seen enough of Rich Hill’s dance with destiny, as the second baseman crushed a 2-1 four-seamer just over the reaching glove of Curtis Granderson and into the left field bleachers breaking up the no hitter and giving Pittsburgh (61-66) its most dramatic win of 2017 in the 1-0 final over the LA Dodgers (89-36) at PNC Park Wednesday night. Harrison’s blast marked the first time in MLB history that a walk-off home run broke up a no-hit bid. Harrison, who attempted to break up the no hitter in the 4th inning with a bunt pop out to first baseman Adrian Gonzalez, shattered Justin Verlander’s no-hit bid in the 9th inning vs. Detroit in 2012. Rich Hill, who became the first Major League pitcher since Jim Maloney of the Cincinnati Reds (1965) to carry a no hitter into the 10th inning, threw 99 pitches while striking out 10 batters and allowing no walks in the best loss of his 13-year career. 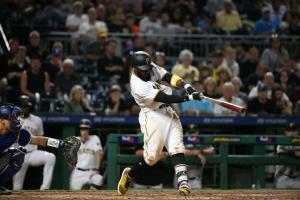 Hill had a perfect game going until the ninth inning, when Jordy Mercer led off with a routine grounder to third baseman Logan Forsythe, who bobbled the ball on a bad bounce and pocketed the error. “Today it's disappointing,” said the 37-year-old veteran. “Made one bad pitch but they played a great game too. Those guys pitched their tail off and played really well. Can't discredit that at all." Trevor Williams put together the best start of his young career, working 114 pitches in eight frames of scoreless baseball, despite eight Dodgers’ hits and 11 left on base. Williams, who was pegged with the no decision, was backed up by solid campaigns from Felipe Rivero and Juan Nicasio, who put together a hitless 10th inning, forcing two flyouts and a Yasiel Puig strike out, landing the reliever his second win of the season. In a game that had the edge-of-your-seat climatic scenes of a Ridley Scott thriller, it was Harrison that killed the romantic happy ending for Hill and the Dodgers, even though it seemed Granderson came down with the ball when landing on the ground in the attempt to rob the home run. The last time the Pirates were no-hit was back in 2015 when Max Scherzer did it with the Nationals in Washington. “There was a time, a couple of years ago, (Max) Sherzer threw just as well against us,” said Harrison when asked if Hill’s stuff was the nastiest he’s seen. Hill threw first-pitch strikes to all but five Pirates’ batters, though it was no shock to Harrison that he and his Bucs would find the winners’ circle when it was all said and done. The Pirates will look to tie the four-game series when they host the Dodgers tomorrow afternoon for the final game of the homestand. Chad Kuhl (6-8, 4.52) will square off against Hyun-Jin Ryu (4-6, 3.45). First pitch is set for 4:05.